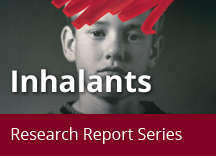 Home » Publications » Research Reports » Inhalants » What are the short- and long-term effects of inhalant use? Although the chemical substances found in inhalants may produce various pharmacological effects, most inhalants produce a rapid high that resembles alcohol intoxication, with initial excitation followed by drowsiness, disinhibition, lightheadedness, and agitation. If sufficient amounts are inhaled, nearly all solvents and gases produce anesthesia — a loss of sensation — and can lead to unconsciousness. The chemicals found in solvents, aerosol sprays, and gases can produce a variety of additional effects during or shortly after use. These effects are related to inhalant intoxication and may include belligerence, apathy, impaired judgment, and impaired functioning in work or social situations; nausea and vomiting are other common side effects. Exposure to high doses can cause confusion and delirium. In addition, inhalant abusers may experience dizziness, drowsiness, slurred speech, lethargy, depressed reflexes, general muscle weakness, and stupor. For example, research shows that toluene can produce headache, euphoria, giddy feelings, and the inability to coordinate movements. Inhaled nitrites dilate blood vessels, increase heart rate, and produce a sensation of heat and excitement that can last for several minutes. Other effects can include flush, dizziness, and headache. A strong need to continue using inhalants has been reported by many individuals, particularly those who have abused inhalants for prolonged periods over many days. Compulsive use and a mild withdrawal syndrome can occur with long-term inhalant abuse. 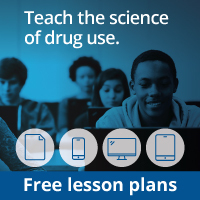 A recent survey of 43,000 American adults suggests that inhalant users, on average, initiate use of cigarettes, alcohol, and almost all other drugs at younger ages and display a higher lifetime prevalence of substance use disorders, including abuse of prescription drugs, when compared with substance abusers without a history of inhalant use.